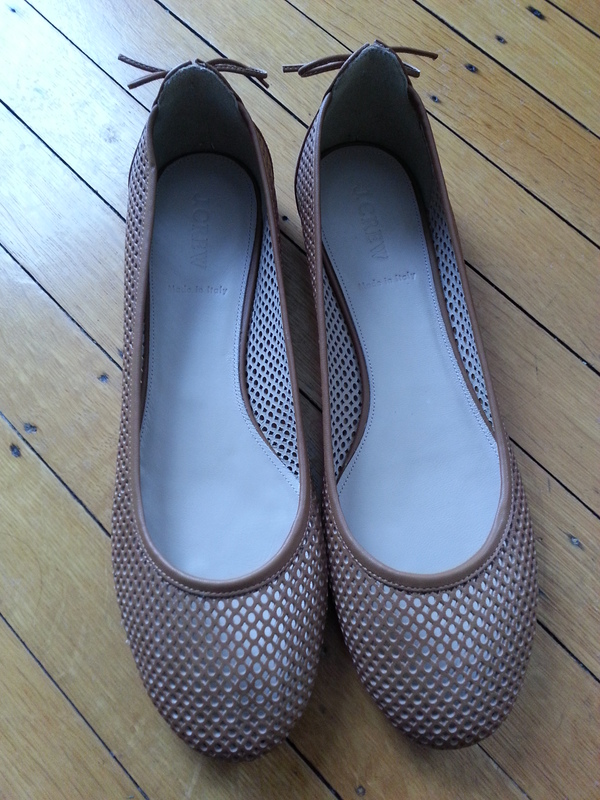 And here they are in real life…out of the box, they’re a very attractive slim ballet flat. 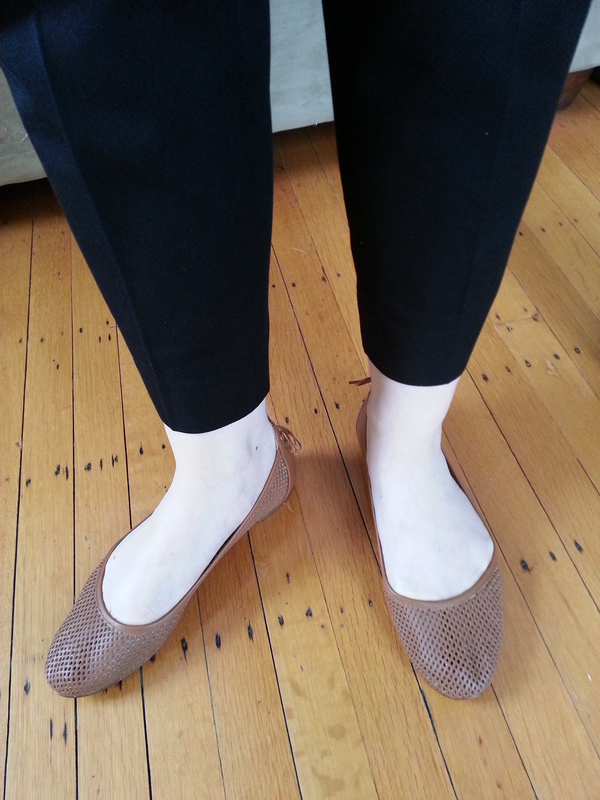 I was a bit concerned that my not so slim feet would look bad in them. We’ll get to that in a minute. I tried my usual 9 1/2 in these and while a little snug at first, I wouldn’t go any larger. That’s pretty much my universal J.Crew size, which is a 1/2 size larger than what I wear in most other brands. Back of the shoes…this is my favorite part, I love the ties. 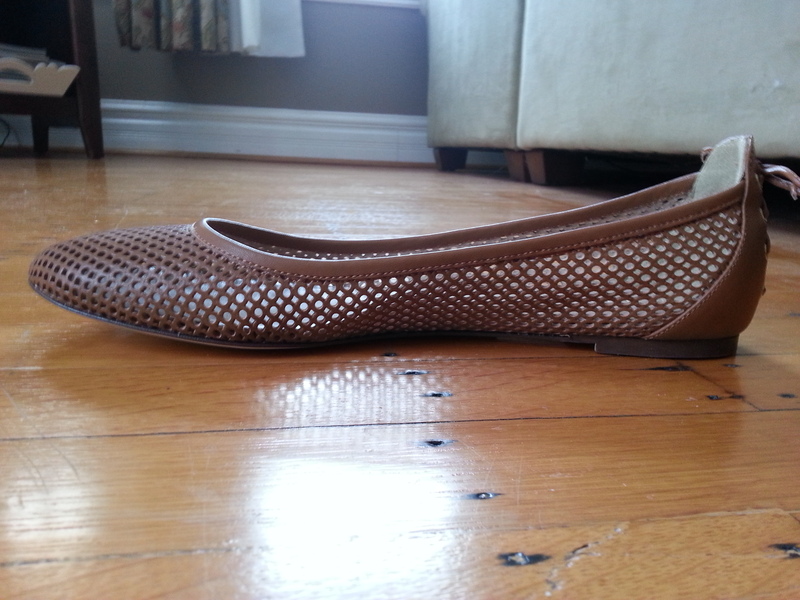 As you can see, they’re very flat, not much of a heel. 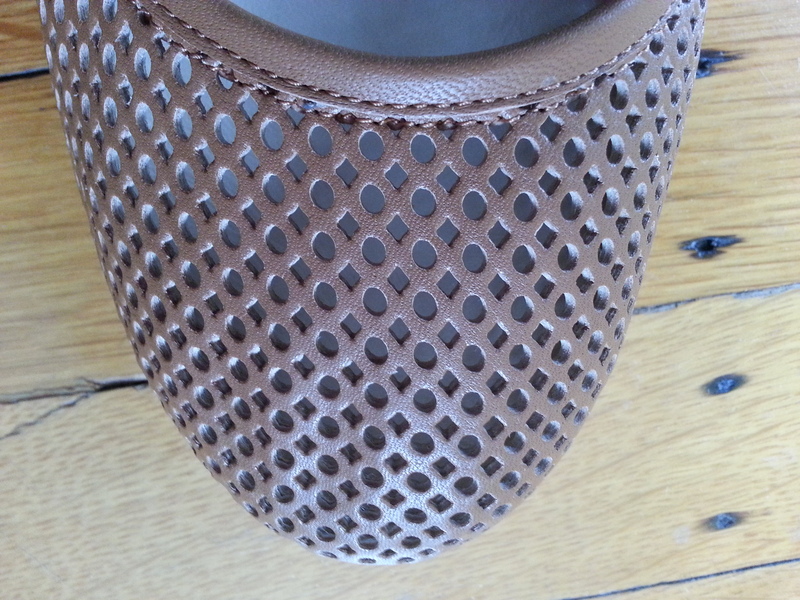 The website description states a “cushioned insole” but I couldn’t feel or see much of a cushion. Oh, AND they match my Tory Burch Robinson Tote which has not yet seen the outdoors yet due to our lovely winter weather. If we were judging on looks alone, these would be keepers. So now we come to how they look on. I will say…I think the photos are a bit deceiving in the sunlight but judge for yourselves. I’ll be honest, I’m not sure what I was expecting but I think I expected my toes to be not quite so transparent through the shoes. BUT THEY HAVE HOLES IN THEM. So yeah, I guess it stands to reason that you can see through them. Maybe if I didn’t have dark polish on my toes I wouldn’t care as much. And I was standing in direct light next to the window. They look better from the side and I am trying to take these photos solo so it’s a little tough getting the right angle. But as you can see, the shoe is molding to my toes. I’m not sure if a 1/2 size up would fix this or not. I think I’d be slipping out of them. While there isn’t a lot of padding in them they do seem comfortable on, I’m not sure about any long distances but they seem ok for some casual walking around. And then…when you take them off, you can still see where your toes were! Full price, I’m not sure they’re worth it. Promo, plus 40% off? I’m a little more inclined to keep them. So what do you think? Love or not so much? Would love to hear what you think and thanks for visiting! I waffled about ordering the navy during the 40% off, as I had waffled about ordering the silver metallic when they were available in my size. I love the color of yours, but I’m shocked at how see-through they are. I’m not sure that would work for me… Thanks so much for reviewing these! Thanks for posting this review! 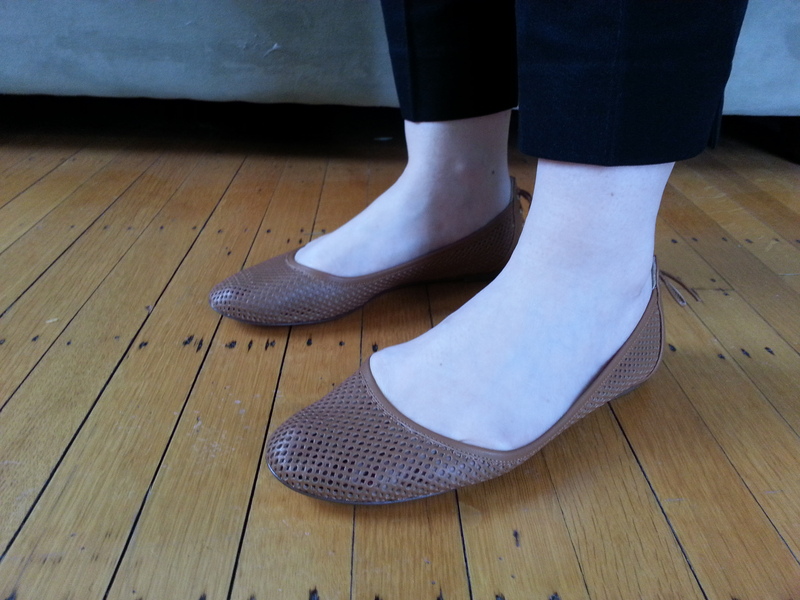 I stray away from J.Crew flats because my feet are so wide. I like the color and the unique styling. I’m not sure they’re for me, but they are very nice looking shoes. 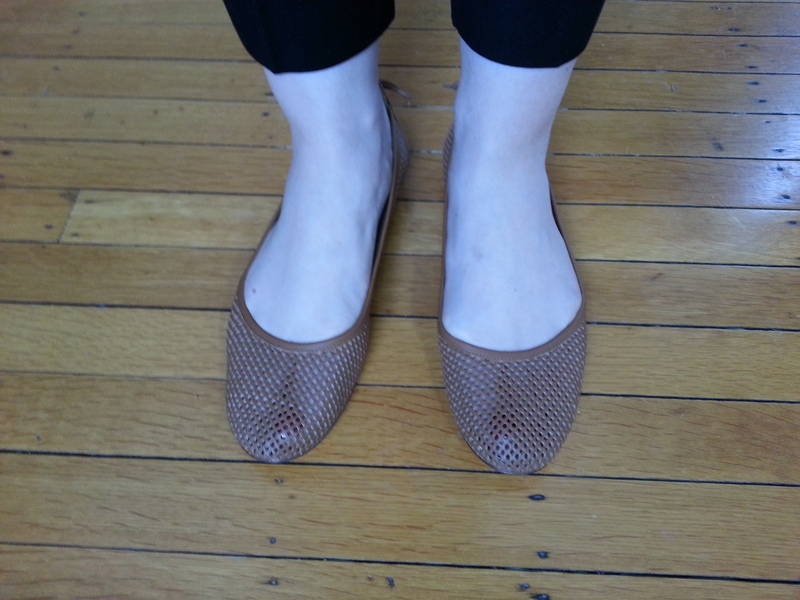 I have these shoes in bright pink and really hadn’t noticed that they were see-through. I think the dark nail polish is an issue and the camera may enhancing the effect. In any case, I love the shoes. Great for summer when I don’t want to wear sandals. Jean, thanks for the feedback! I’m holding on to them for a little bit…not quite ready to return them. I loved the pink ones!!! Thanks so much for stopping by and taking the time to comment! 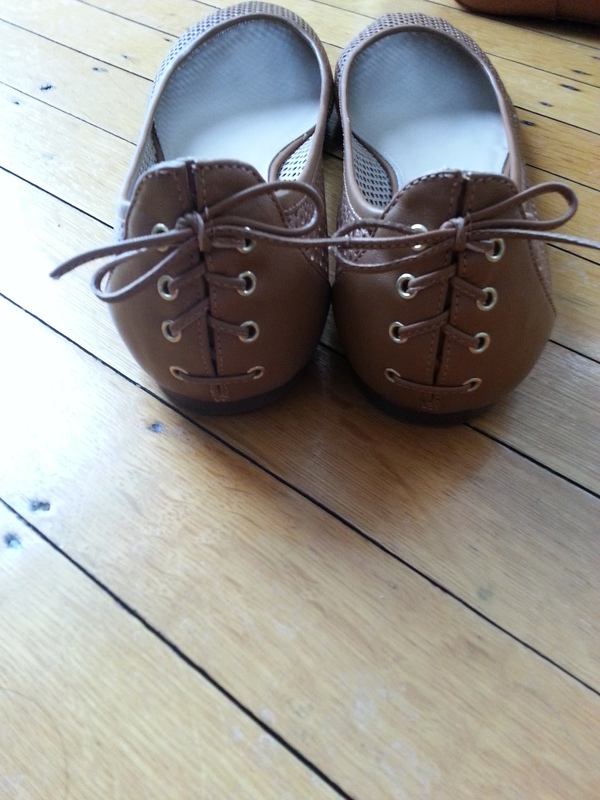 Love these pair of shoes which have good breathable options. Would be my most preferred one for the summer.